Every oil dependent country dreams that a time will come when their oil import bill will come down and they themselves will be able to cater to their citizens’ needs, indigenously. However, such a dream looks utopian without the advent of alternative energy and this is happening due to the continued low oil prices. The oil prices are going to remain low, until and unless the world’s economy revive from the ongoing financial crisis. In the United States; we have the maximum number of trucks, SUVs and other large vehicles than any other country, plying on the roads that consume enormous amount of gasoline. However, though the recent fall in gasoline prices augurs well for consumers in the upcoming festive season; it is definitely disheartening for the advocates for green energy, fuel economy cars and alternative energy, since the low gasoline prices are going to hinder concerted effort in pursuing fuel efficient technology. The oil prices are bound to increase as and when the world’s economy recovers and demand for oil increases. This is not only going to harm the environment but the higher energy price will hamper economic growth, too, thus paving the way for the advent of alternative and environmental friendly energy solution. Once we know the secret of striking a balance between these two; alternate energy is going to be the driving force that can propel forward the world’s economy. 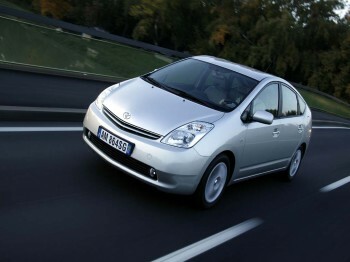 The development of green cars like Toyota Prius can successfully lead the energy efficient engineering process. Other companies, too, are following suit; in fact, back in May 2003 Daimler-Benz, parent company of Mercedes, had developed fuel cell technology on trial basis and had experimented it under the hood of various types of vehicles in USA, Europe, Japan and China. Till today, these fuel cell cars are running successfully; however, if these cars are to have a bright future and extensive use, then refueling facility with hydrogen has to be made readily available in most, if not all, gasoline pumps. Daimler-Benz is going to continue with the fuel cell technology, but to make these cars an interesting proposition; multiple easy and cheap refueling facilities have to be built across the country. The Volt from General Motors is a plug-in hybrid vehicle so also the Prius version from Toyota. Though with the current technology a plug-in electric vehicle can travel only between short distances; however, GM’s Volt uses a plug-in for charging and recharging of the on-board Lithium ion batteries and when these gets exhausted, the car automatically switches to the internal gasoline engine, which not only runs the car but also re-charges the batteries. The current technology is still not up to the mark to cater to plug-in cars, though these are the best for the environment with zero emission; however, the high demand for electricity acts as a deterrent. The electricity infrastructure grid has to be overhauled to cater to plug-in cars, as and when their usage becomes widespread, over and above catering to industrial and household needs. Unless the technology is upgraded, the use of fossil fuels cannot be completely eliminated. Still then, this alternative fuel technology can be a good proposition for short distances, as long as sufficient plug-in points for electricity are there across the country. The current hybrid technology used by Toyota Prius is head and shoulder above its competitors; it covers long distances as well as enhances fuel efficiency by using the internal combustion engine as well as electricity stored in the rechargeable batteries. Since the initial high cost of such vehicles, due to the high entry cost of the new technology and the lack of economic support system, is a dampener; it is best to stick to the existing hybrid cars available in the market. Introduced in the American as well as the European markets in the year 2000, after this was commissioned in the year 1997; the Toyota Prius variant has sold over 1.5 million units and has remained, till date, the world’s first mass produced hybrid technology car.